In 2007, Downtown Decorations did a series of seasonal decorations for See’s Candies. The well-known candy manufacturer and distributor has operated for over 90 years and now has more than 200 stores around the world. If you haven’t tried their chocolates, we highly recommend them! 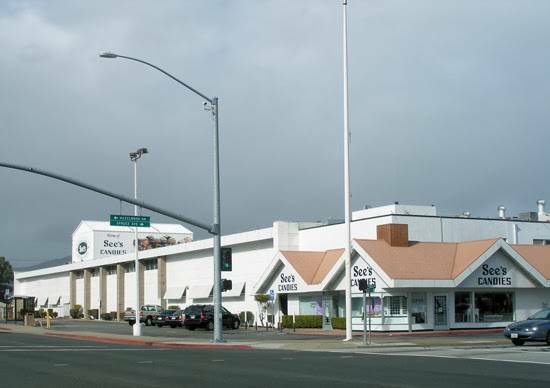 The decorations we designed for See’s are put up every year at their headquarters in South San Francisco (pictured above) and their second factory in Los Angeles. For Halloween, we provide our ghost, pumpkin and bat decorations. We also produce Valentine’s Day, Easter and Christmas décor for both locations.